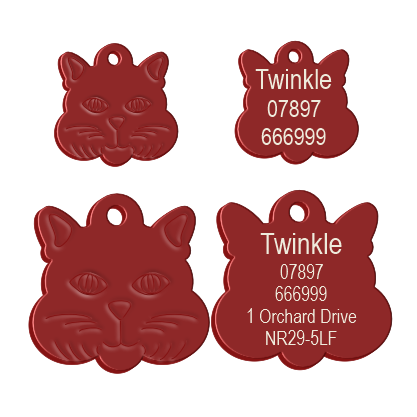 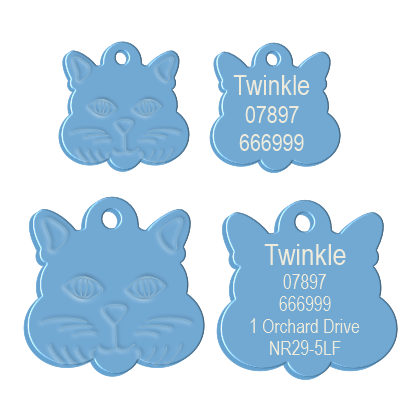 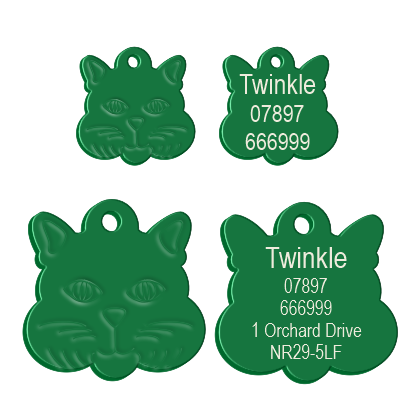 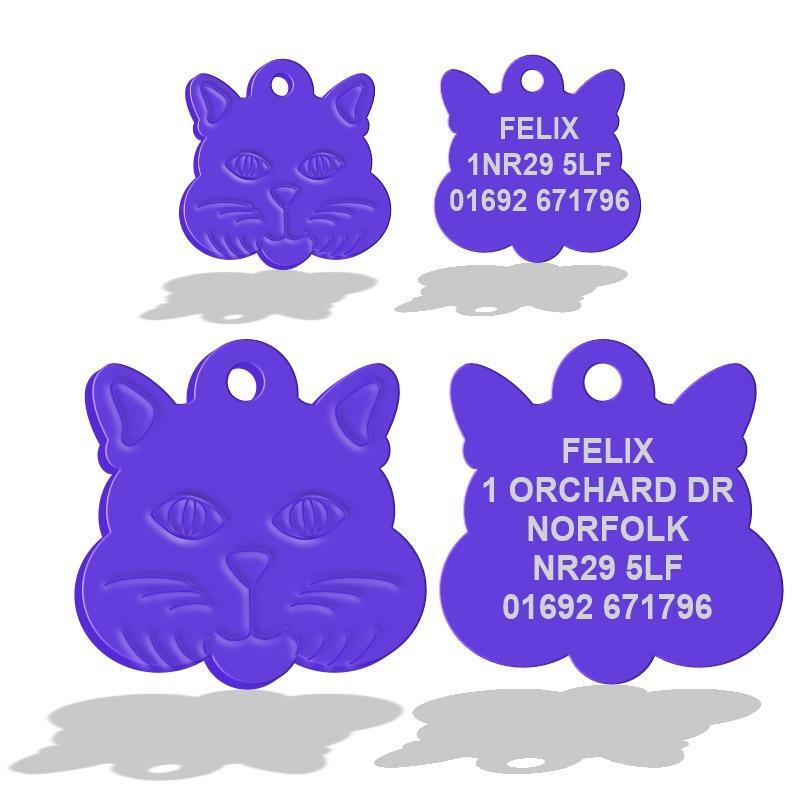 Cat Face pet tags made with a premium colour coating. 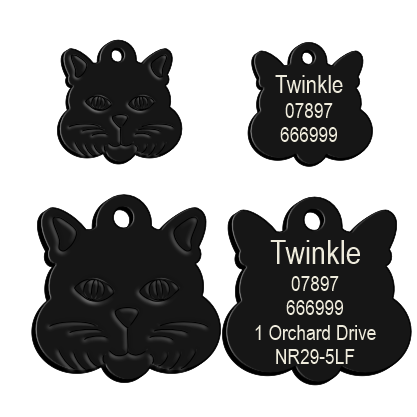 These Tags are made in the USA and are of a very high quality. 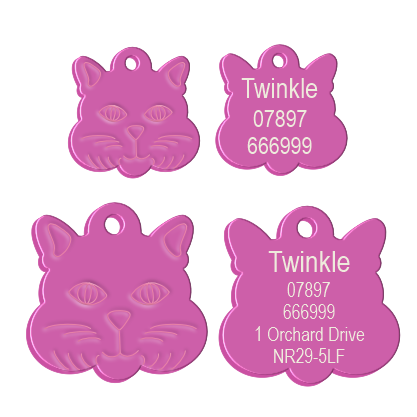 The tags are coated with 7 microns of colour and are very durable. 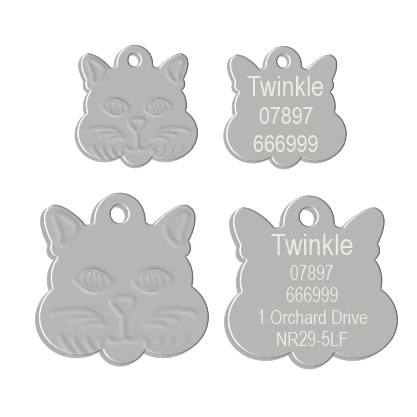 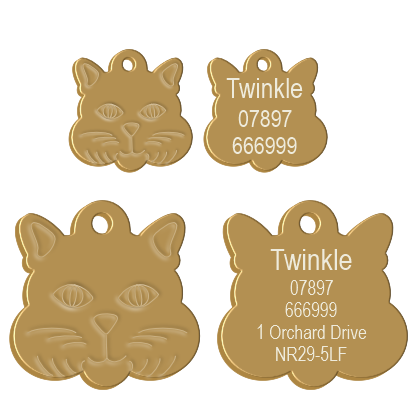 The Tags come in 2 sizes and are deep engraved on one side only due to the cat face design on the front. 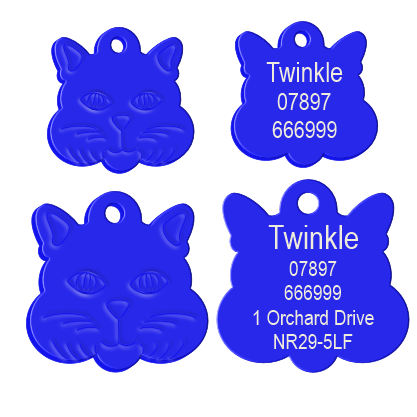 All my tags are deep and come complete with a split ring for fixing.